Today we are lucky enough to have Stephanie from MamaMarmalade with us Guest Blogging - she is an amazing person. Please take a moment to read her post, visit her site, and feel free to leave comments in response on our Facebook page. In 2002 I found out I was pregnant with my first child. My husband Rob and I were so thrilled and excited to be starting a family and straight away started making plans for the arrival of our little one. Quite early on I had a bit of a bleeding scare and during the ultrasound we found out we were having twins! TWINS. We just couldn't believe how lucky and special this was. Several weeks later at the 12 week scan our twins were found to be identical. I remember sitting in the sonographer's office being told all the risks that came with identical twins but I just figured 'stuff like that happens to other people'. We sailed through the pregnancy smoothly - no morning sickness, no unpleasant side effects - just a beautiful time in our lives growing these babies. Rob and I were in absolute heaven. We used to call them 'two babies the same' .. as at a 16 week scan we found out they were identical girls. We named them Ella and Jasmine. It was the happiest I had ever been in my life and I just couldn't believe I'd been blessed with this absolute miracle. We used to laugh about how one day Ella and Jasmine would play tricks on us, pretending to be each other. We bought books on twins and wanted to know everything about them. I joined a pregnancy pilates class for twin Mums. I spent time online chatting with other expecting Mums of twins. We chose the double pram we were going to buy, we redesigned our house we'd planned to renovate. It was simply a magical time of our lives. In my 5th month of pregnancy, we decided to go on our 'last holiday'. We laughed about how it would be our last time to get away and sleep and that our next holiday would be as a family of four. We left Melbourne for Dunk Island. I didn't want to go overseas as I was worried about a long haul flight so we picked a tropical Island off the Queensland coast. We arrived and had a gorgeous room and everything was perfect! I hadn't felt quite right the day before we left and brushed it off as nerves and excitement mixed with some overtiredness as I was getting quite big and uncomfortable at night. The first night I was so uncomfortable and thought it was the bed I was sleeping in - so the resort offered us an upgrade to a suite as it had a bigger and better bed. During the day I felt quite off, my lower back hurt and my thighs were aching but again I just thought it was pregnancy woes! That afternoon as I was in the bathroom my waters broke. In hindsight I'd been losing my mucous plug for days but it was my first pregnancy and I just didn't know what it was. We rang my obstetrician in Melbourne and she told me to get to a hospitial straight away. This involved being taken by boat to the mainland and then by ambulance to Innisfail Hospital which took a few hours. There I was admitted to a general ward and basically left for two days on bedrest. A scan showed the babies were fine and my amniotic fluid levels were normal so the doctors there assumed maybe my membranes hadn't ruptured after all - and they sent me on my way. This time I wanted to go to Cairns to be close to Cairns Base Hospital 'just in case' until we could get a flight back to Melbourne. We hired a car and I remember driving there and thinking I was the luckiest woman alive. Gorgeous husband, healthy babies and even though I'd had a scare I thought everything would be okay. The doctors at Innisfail had assured me everything was going to be fine. We found a little B&B at Trinity Beach and figured it was a good place to rest for a day or two. Not long after we arrived I started having tummy cramps and phoned the nurse who'd seen me at Innisfail who told me not worry - that I was just constipated and it was all normal. I stupidly believed her. As the day went on these pains grew worse and worse but I really was so constipated and had a strong desire to push - which just added to my agreement that yes it was constipation causing this awful pain. However they were contractions, I just didn't know it. I'd never had a baby before and just didn't know any better. Who knew that labour brought on an urge to push?! Not me, back then. That night I sent Rob out to get me some ice cream, but I really just wanted alone time in the bathroom because I was feeling so 'constipated'. At 10.40pm my first born daughter, Ella, was born as I sat on the toilet. My eyes well up with tears still when I type this. Knowing now 10 years later what I had to go through after that. As I felt Ella being born I started to scream like I've never screamed. I went into complete shock and the next thing I remember is Rob and some of the hotel staff trying to help me. I stood up and at that point I think I passed out. A team of paramedics arrived and stretchered me to a waiting ambulance and before they shut the door I heard him whisper to the other paramedic 'can you go back and get the baby'. My heart had broken so completely by this point it didn't even register. 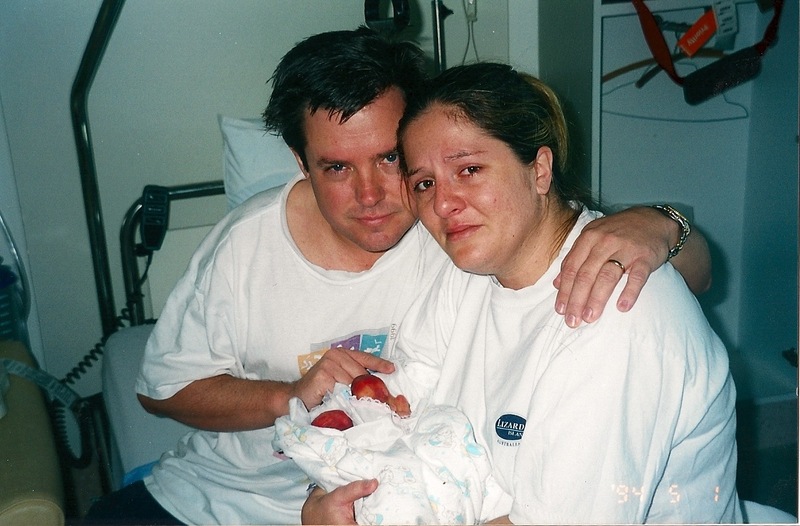 Upon arrival at Cairns Base Hospital I was told that my other little girl had no chance of survival as they shared the same placenta and it was just a matter of time before she too was born. At 2.15am the following morning, Jasmine was born. Surrounded by the most caring and wonderful midwives on the planet and my devastated husband. She wriggled around for a while and then peacefully died, just too little for this world. My beautiful daughters, Ella and Jasmine, had both died and for me the world just stopped. After Jasmine was born I had the agony of having to then deliver the placenta. Eventually due to my hysteria and the fact it was taking too long I was sent to surgery to have it removed and all I could think was 'they'll knock me out, some relief from this agony'. The next two days were a blur of sedation and hysterical bouts of crying. I was completely inconsolable and the pain of losing my babies was so intense I thought I was going to die. Leaving the hospital with empty arms the day I was discharged was one of the most difficult things I've ever done in my life. As we are from Sydney but lived in Melbourne - we flew to Sydney until Ella and Jasmine's bodies were brought back so we could have a funeral. We just had our parents at the funeral, no friends. I don't know why I did that. I just felt nobody understood. The memory of my girls in their little white coffin is etched in my memory forever. We returned to Melbourne and I fell to pieces. I didn't leave our apartment for weeks on end. Didn't shower, didn't answer the phone - I took up smoking and just sat on our balcony, smoked and hoped the world would end. I was in the deepest, darkest pit of depression and the only relief I ever got was my precious sleeping tablets that I had come to rely on to escape the pain I was in. I remember one day in Port Melbourne being in the supermarket, my only outing in months, and I saw a woman with twin babies. I left my shopping and ran home not even remembering my car. Things like that happened for a long time. I became obsessed with finding out why my babies had died. I knew there were risks with identical twins I just hadn't realised how great those risks are. All I could think of was if I'd just managed to hold on for a couple more weeks then they'd have possibly survived. They were just too premature to be given a chance. Eventually after many months of doctors and specialists anlysing pathology results and ultrasounds, etc. they were diagnosed with Twin to Twin Transfusion Syndrome (TTTS). One twin is starved of blood while the other is pumped with too much. My relationship with Rob suffered. I couldn't understand how he could go to work and do normal things because I wasn't even capable of feeding myself. I felt so alone and nobody understood. I was so consumed with grief and my twins were on my mind constantly. I found writing was very therapeutic and kept journals, sometimes I'd write for hours each day - just pouring my heart into these little books because I felt so forgotten about and nobody could understand why I was still grieving. Nobody knew how to treat me. Friends stopped calling because they didn't know what to say. Some friends never called at all. Some said really inappropriate things to me which I still haven't come to terms with. Friendships were fractured but then out of the woodwork came some amazing friends who really understood. I became involved with some online support groups for Mums who'd lost babies. It was unbelievable that a couple of months previously I'd sat at the same desk on other pregnancy forums talking about my unborn twins and now here I was, grief stricken, searching for someone who understood. Those Mums were a lifeline for me, I cannot stress how important they were in my healing process. And ten years later they are still some of my closest friends - even though some of us are oceans apart. They were the ONLY people who really could understand how I felt and they were of such a comfort to me. All I wanted was to meet someone who'd been through what I had, and survived it. Becauase for a long time I didn't think I would. I was just so totally broken. Pregnancy loss is so misunderstood. It's very hard to really understand how dreadful it is until you go through it yourself. About six months after Ella and Jasmine died, I finally sought the help of a grief counsellor and it was a major turning point in my recovery. I saw her every week for many months and it was really helpful. I was just so glad to know I wasn't losing my mind because for a long time I just wanted to die. I just got absolutely no enjoyment out of anything and was most content sitting on my balcony alone with my dog, smoking, writing and crying. I found certain dates incredibly difficult. The first being my twins actual due date. This was excruciating. But not as bad as seeing the friends I had that were pregnant with me go on to have healthy babies. This just crippled me to the point I just couldn't go and visit them with their new babies. My first christmas was awful, the first mother's day, and finally the one year anniversary. Somehow this was a peaceful day, but the lead up to it was very hard. However finally it was the last of the firsts - I never had to do something for the first time as it had been a whole year. I really don't know how I survived that year. Slowly with time I did start to heal. I had my first living child 18 months later and have had another 3 since then. So now I have four healthy children and have just passed the ten year anniversary of Ella and Jasmine's deaths. The loss of my twins has molded who I am today. It was a life changing experience which although I have since had four living children, its grief still takes up a small place in my heart. I never thought I'd recover from that agony but as they say, time does heal. As much as I hated that saying in my early days, it's most definitely true. 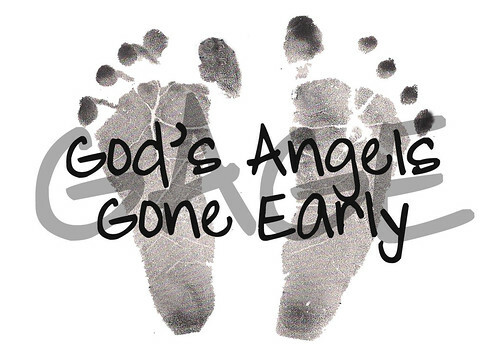 The loss of a baby at any stage is devastating and unless you've experienced it, it's difficult to comprehend. Friends and family don't know how to support you and if it weren't for my support network of amazing bereaved mums who reached out to help I don't know what I'd have done.